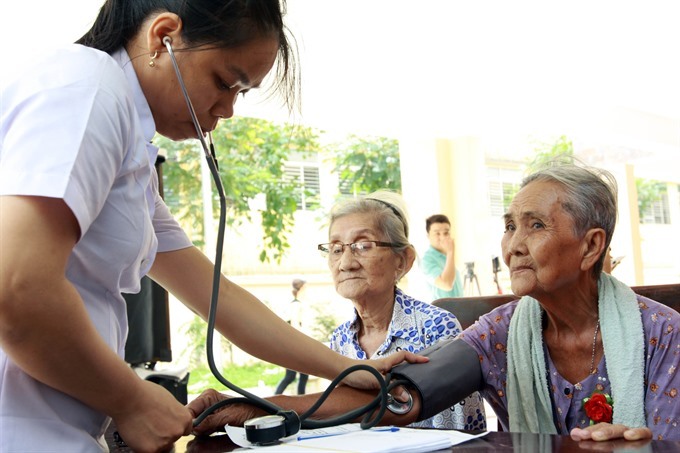 HÀ NỘI — From now until 2020, elderly people with no pension or State allowance, living in poor circumstances or in mountainous, island or ethnic minority areas will be entitled to social benefits. This is one of the objectives of the project "Renovating and developing social benefits in 2017-2025 period, with a vision towards 2030,” which was recently approved by Prime Minister Nguyễn Xuân Phúc. The ultimate goal during the entire implementation period of the project is to provide timely support for 100 per cent of disadvantaged people. Also, according to this project, from this year until 2020, 50 per cent of the seriously disadvantaged population will be able to receive social welfare that suits their needs, with at least 10 per cent receiving comprehensive social services. Moving on to the 2021-2025 period, the project aims to raise monthly social welfare allowance and provide support for children below 36 months old, pregnant women of poor or near-poor households, and households in mountainous, island or ethnic minority areas.